Vapor Smoke Shop is the #1 destination in Charlotte for all things smoking and vaping. Whether you are into cigars, hookah or vaping – we have the highest rated products, the biggest selection of brands and the most knowledgable staff. Our store is located at 1627 Sardis Road North #4b Charlotte,NC 28270. You can get to us easily off of Independence Blvd. if you are coming from either Uptown Charlotte or the Stallings, NC area. We even have customers coming in from Monroe, NC because we are so easy to get to. We are about 16 mins from Uptown Charlotte – so even if you do not live in our immediate area its not far to travel to get the best smoke shop experience. We have plenty of free parking available. Come check out amazing selection of smoke shop products or pick our brains to learn more about vaping or hookah. Get directions to our store below from 3 major areas of Greater Charlotte. First, get on Governor James G Martin Fwy/I-485 Outerfrom Pineville-Matthews Rd. Be careful of recent changes to this highway as construction has been going on for a while now. The highway was recently re-paved so your travel should be pleasant and “pot hole” free! Go 11.3 miles on 485 – it should take you about 11 mins with light traffic. Exit the highway at Exit 52 for E. John Street. Turn left. Travel through Matthews, NC about 1 mi. Continue onto Monroe Rd and turn right on Galleria Blvd. At the traffic circle take the 2nd exit. Then turn left onto Sardis Rd N. We will be on the right! See ourPineville smoke shop page. From Uptown Charlotte its very easy to get to us. It takes about 16 mins and you are really just getting on Independence Blvd (74). Travel about 8.5 miles up 74 and look for Sardis Rd. North on the right hand side. Make a right turn and we will be on the right hand side. Recently we were awarded the #1 Vape Store in Charlotte award – we are proud of that and want to show off our store and product selection to you. We get lots of customers coming from Uptown Charlotte. We want to be your “go-to” smoke and vape shop, too. 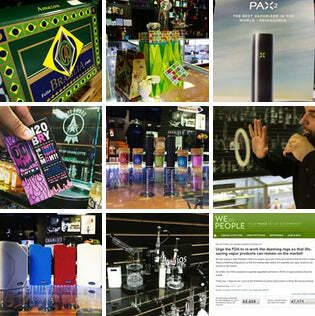 See our Charlotte smoke shop page. Just getting into town? Welcome! Don’t waste time trying to find a store to take care of your smoking and vaping needs while you are here. Vapor Smoke Shop is ready to serve and we are super easy to get to. From the airport you simply hop on Independence Blvd. from Old Dowd Rd. Continue up 74 for a little while, 15.7 miles to be exact, and Sardis Rd. North will be on your right. Go about 0.9 miles on Sardis Rd. North and our smoke shop will be on the right. Whether you are visiting Charlotte or moving here, we are glad to have you! We look forward to showing you how Vapor Smoke Shop is different and uniquely Charlotte’s #1 Vape Store.